You don't happen to have the results of the Top Ten run-off do you? Programme (well, a couple of sheets of A4, distributed free of charge)? Check. Photographs? Check. Top Ten run-off results? I suspect not. Here is an unusual view of the circuit, taken from a rocky perch. Event is a Longton & District MC sprint, 1975. What's that in the background... a landed flying saucer? I recently came across this forum and have been addicted ever since. This particular thread brings back some very happy memories and has prompted me to become a member. As a teenaager living in north Lancashire with a battered Mini 1000, Longridge was the only circuit I could be confident of getting to and from without mechanical drama. Aintree, Oulton and Croft all seemed like a long trek but the trips were made, especially for the big meetings. It was Longridge, however, that held a special place in my heart - there was just something about the character of the place. As some of the forum members may recall Motoring News ran a small column one week headed "U2 can write for MN", asking would be contributors to submit specimin reports on meetings at their local circuit. I duly sent off a report on the next meeting at Longridge and a few weeks later got a phone call from MN asking if I would cover the next meeting for them. That was it!!! A career in motor racing journalism awaited. The meeting was duly covered - the report published with my initials at the botom - and that turned out to be the last race meeting at Longridge and the end of my career!!! Please keep the photos coming there must be some of John Kent, Alan Stringer, Joe Applegarth, Eike Wellhausen etc. 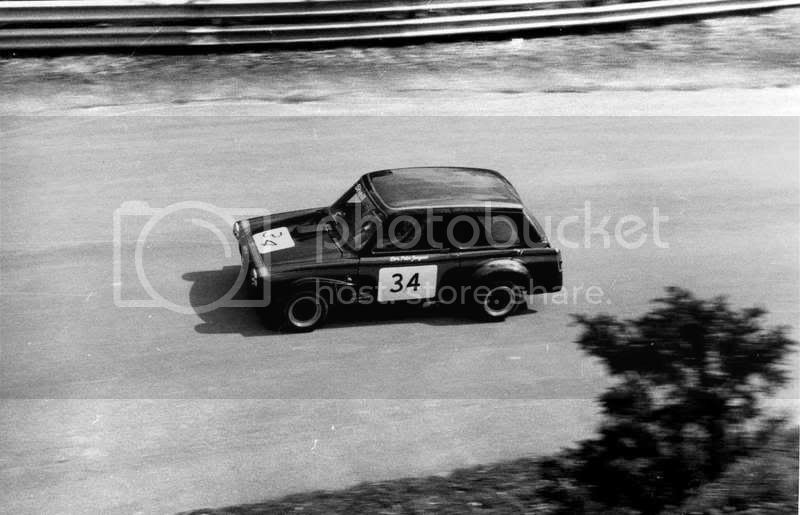 I'm guessing that this was Simon Riley in car #200, sponsored by Monsieur Houbigant! (see, sometimes I do remember what I shot). It was at a Longton & District MC Sprint and it says 1975 on the proof sheet. Must have taken ages to get that black/brown livery on the car. Edited by elansprint72, 11 January 2012 - 12:31. Must have taken ages to get hat black/brown livery on the car. Yes, but if someone else is paying does it really matter! Thanks for the Alan Stringer photo, Phil. 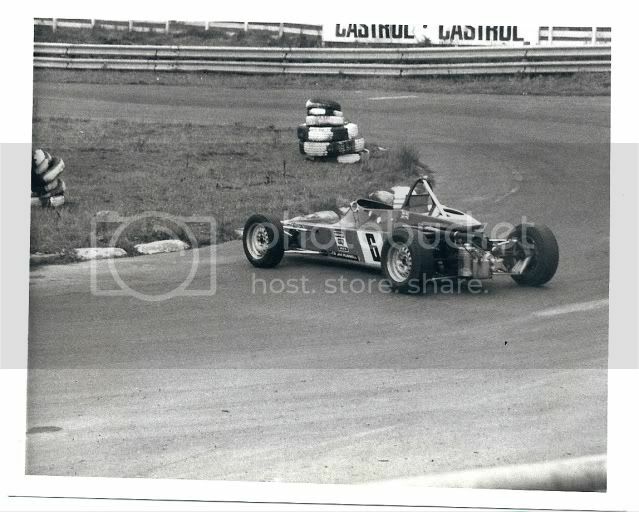 Can't remember who is driving the Nike Mk10 that he is lapping but it always semmed to be for sale. Wonder if it ever got sold? The mention of Libre on the Aintree F1 thread reminded me of this shot. I see that some of my shots further up the thread have disappeared, again. This forum's software really is rubbish. Edited by elansprint72, 18 November 2009 - 08:32. 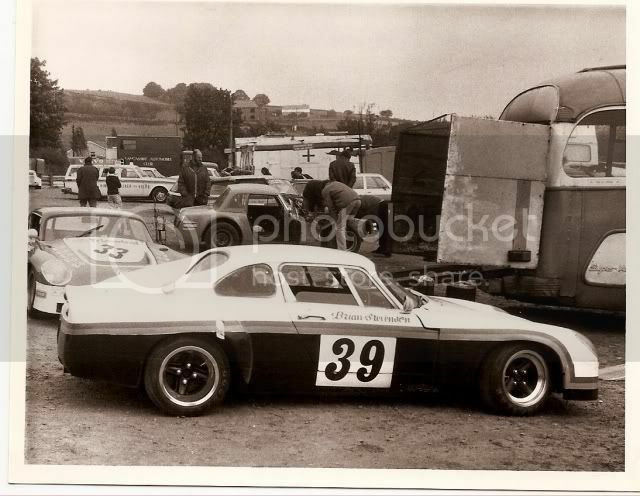 Don't seem to have seen this thread before.One of the few british circuits I never got to visit.Certainly some great photos here and the place seems to have attracted a crowd. What do you think of the run-off area on the left beyond the pole? It makes an effective barrier and woud concentrate the mind, I would imagine. The view from the top must have been magnificent. Still is if you turn your back on the old circuit and gaze out across the Ribble Valley instead. No, it was a caravan site when I went. I thought at the time the layout would make a good race track. Quite a remarkable setting, when you think about it. How long is the lease on that Caravan Park? Far too long in my opinion. 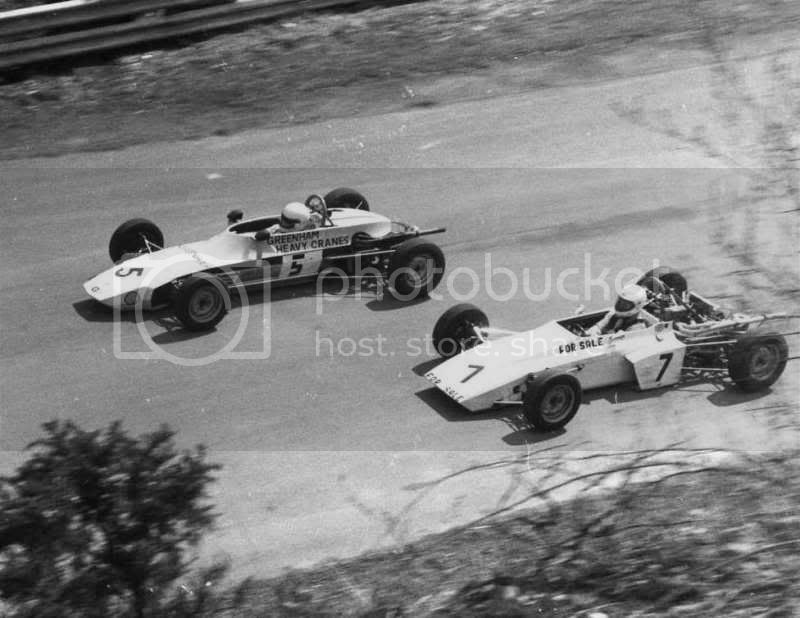 On another note, who knows when this venue was first used for motorsport? I will be suprised if Peter doesn't know the answer. April '71. I went back to the beginning of the thread and there was the answer! Actually I don't remember going there until about 18 months later, for some reason. Was the first meeting a sprint? Or was it for karts? Racing started in 1973 of course. Is there anybody here who went to the first meeting? Mr Wilkinson perhaps? Mr Beard maybe? A 73 date for cars would explain why I didn't attend before that year! Well I'm afraid you are all wrong. Have aother try, and for a clue it was nothing to do with that roundy-roundy stuff. Come on Pete you know the answer. I was in Preston on Wednesday and saw a sign for Longridge. Any ideas of a quick detour were quickly extinguished by my better half wanting to get home for dinner! What a shame Alan, you could have gone here for dinner and been within 500 yards of the old circuit entrance. Edited by IanG, 17 September 2010 - 18:57. World cliff-diving competition, Lancashire style, i.e. into a tin bath? Anything to do with the number 2300? Edited by elansprint72, 17 September 2010 - 20:05. What a treat seeing pictures of Longridge circuit. Not wanting to hijack this racing orientated thread; I just felt I should like to add some of my memories. I was born and brought up within a stones throw of the place, and in an obtuse way it led me toward my first involvement with motor sport. I, along with a few pals, were coming back from a local pub one Saturday night, using some of the local lanes on which there was no-one faster than me, in my dad's Vauxhall Viva HA. (1966-67) Suddenly my rear window was full of lights and a light blue Hillman Imp shot past as though I was going backwards. I was in total shock with the speed at which this maniac left us for dead, so much so that when we were again passed within a minute by some more nutters, I felt some more investigation was needed. We Endeavoured to follow the lights of the cars that passed us and eventually arrived at Longridge Quarry, where the rally (for that was what somebody called it) was using the old quarry as a stage. The Imp it turned out was driven by Colin Malkin. I was hooked on this "rallying" from that moment on, a sport that subsequently took me all over the World. I have often wondered if I had not been curious to find out what was going on that night at Longridge Quarry, then I would have missed out on a whole career. 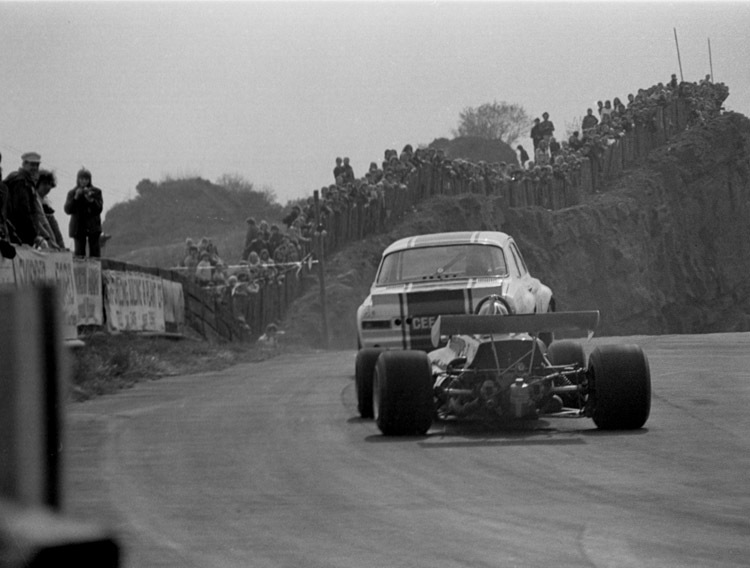 In later years the quarry was turned into the circuit, used for rallycross,sprints and of course racing. The end came when local residents complained about the noise. Now where have we heard that story recently? I'm guessing the Malkin incident must have been around 1968-69, Ian? Very impressed Tim that you found that thread, and yes it was 1968, the 2300 Clubs Mullard Trophy Rally. The last time it ran before moving to Mull. Ian, your input here is terrific. Thank you. But are you familiar with how the circuit came to be, who was responsible/involved, what happened after 1968(!) and so on. I feel we are missing some very important information as to how Longridge evolved. I'd love to know more. Edited by MCS, 18 September 2010 - 18:49. Longridge Circuit was built in the former Tootle Heights quarry close to Longridge. It held races between 1973-1978, although sprint events were held prior to this. The circuit was only 0.43 miles long (0.69km), this meant that starters was limited to a maximum of 10. In 1979 the site was sold and is now a caravan park. There were a number of quarries around Longridge from the middle of the 19th century and the demand for stone led to the opening of the Preston to Longridge railway. Beeching saw the end of that in 1967. Some of the stone from the area was used in the building of Lancaster town hall and Liverpool docks. Okay, so now the inevitable question arises. When do we have a Longridge reunion...? Edited by Raido, 28 November 2010 - 02:54. Here is some sort of car at Longridge. If I were to build a racing car in my shed; this is probably what it would look like. Although the springs would probably nearer to the vertical. And shorter. Aha, so USF1 did build a car after all! Is that an FF1600 or an entrant in Formula Blacksmith? Presumably the wheels and tyres were borrowed from a local Taxi firm? 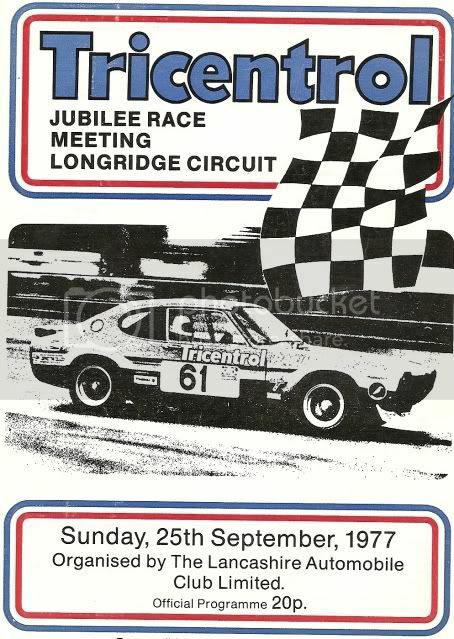 It is a great shame that places like Longridge do not exist any more; these days builders of such "specials" are relegated to sprints and hill-climbs, rather than proper me vs. you races. Not that there is anything wrong with sprints and hill-climbs, he hastened to add. But you know what I mean. A bloke named Terry Horrocks campaigned a self-built FF1600 - the Horrocks FF - in northern England during the early 1970s. Might this be it? I still have the trophy, from the very first race ever at Longridge, when I set the Special Saloon 1.litre Lap Record. I remember it used to get very hot in the car, on that tight little track. Shame its gone. I do have a few nice photographs, but cannot upload them can I? I have my own library of photographs on my pc.